TheRustedChain - The Blog: Good morning! It may be Monday but you can choose happiness. Our Spring break starts today. I'm so excited to have the kids home for the week! Our spring break is next wk. Enjoy yours! I can't wait for spring and summer. So, we are celebrating, too! Yay Spring! What a lovely little flower and I'm experiencing our second spring break this week with my teenagers. Last week was with my daughter and her boyfriend, home from college...so weird, seems like it couldn't have been that long ago...the effects of getting old! But kids are still fun, no matter what ages they are. Yes, choose happiness! 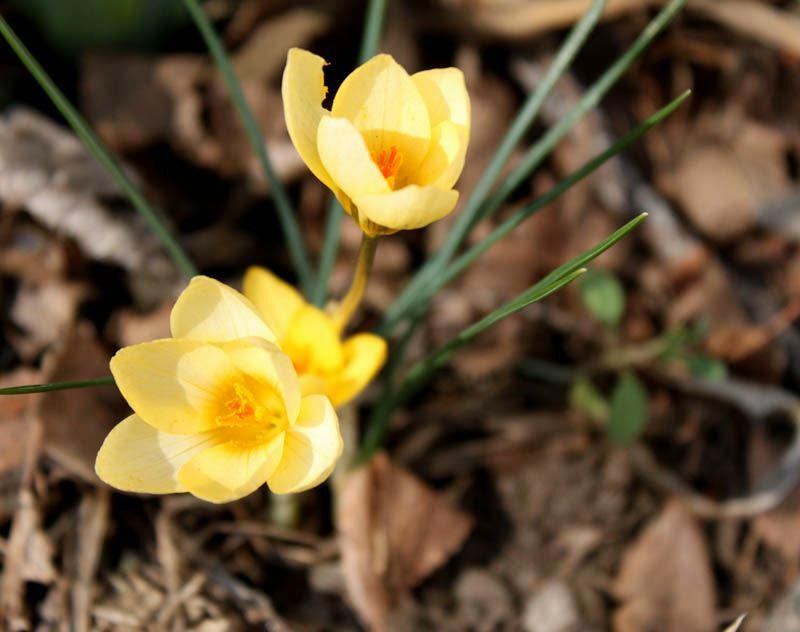 Love it when I see the crocus bloom. Then I know spring is really on the way!! Have a blessed Day!! we're on spring break this week, too! here's to a week of wonderful springy things!! check you out, miss chirpy! have a great week. Love this Spring Break thing. I'm on break too. That's my new favorite sentence : Choose Happiness. Not sure when our Spring will arrive, but I'm SO looking forward to it...enjoy your kids, they grow WAY TOO FAST!! Have a great day you too!! I found you through Erin's blog and If I can be stalker-ish, I think you, your blog, and your jewelry are wonderful. I'm new-ish to the blogging world and do it more for me then anything else. However, when I look at your blog (and jewelry) I wish I had that talent. I plan to buy one of your necklaces once we have our 3rd baby. Till then, I might be able to get my hubby to get me a moms day gift. They (necklaces) had me at hello. Anyway, I've rambled enough now. Hope you are having a great day.